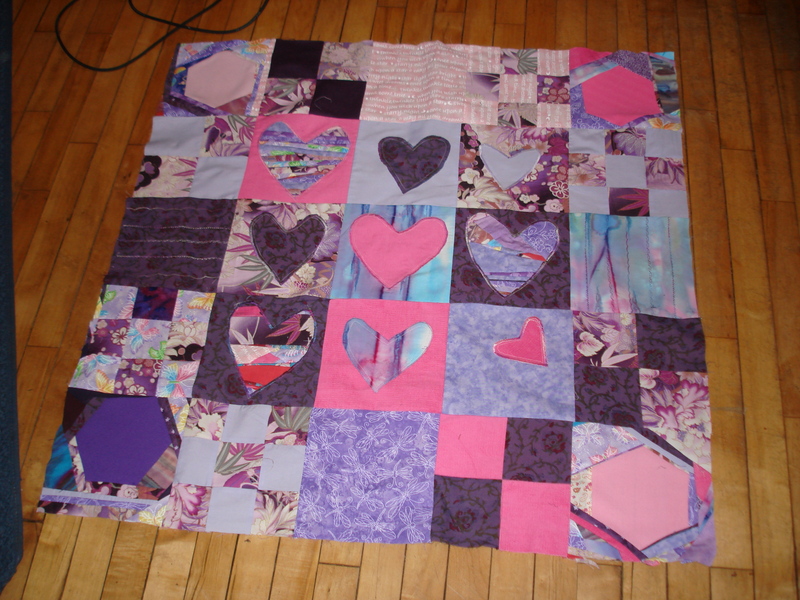 I am working on a pink quilt. It is a gift. I won’t specify for who, but those in the know will know. 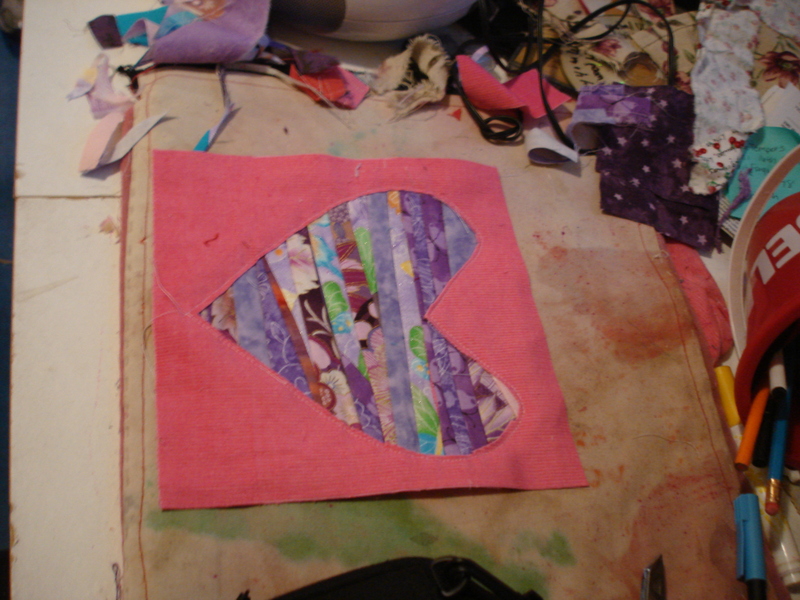 One of the blocks I have been playing with is a heart block. 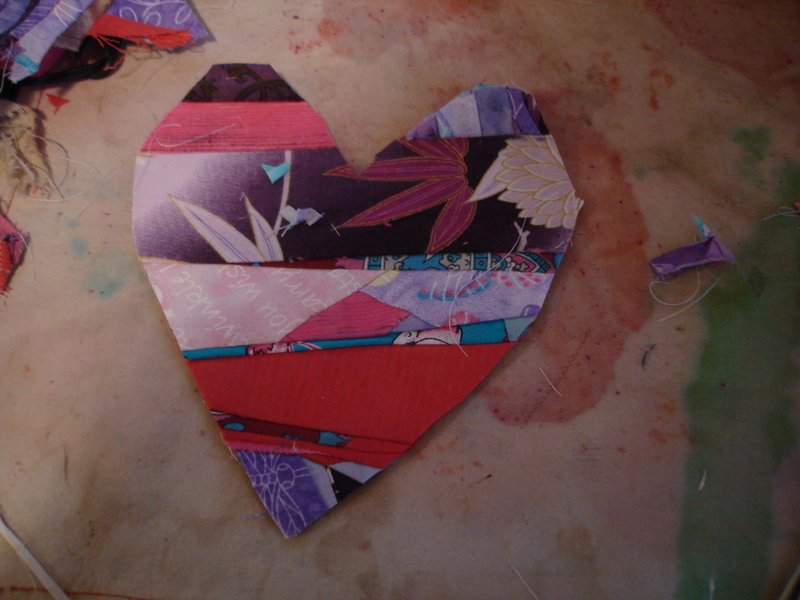 I love to do random piecing and so I began by cutting a heart shape from paper and randomly piecing it. 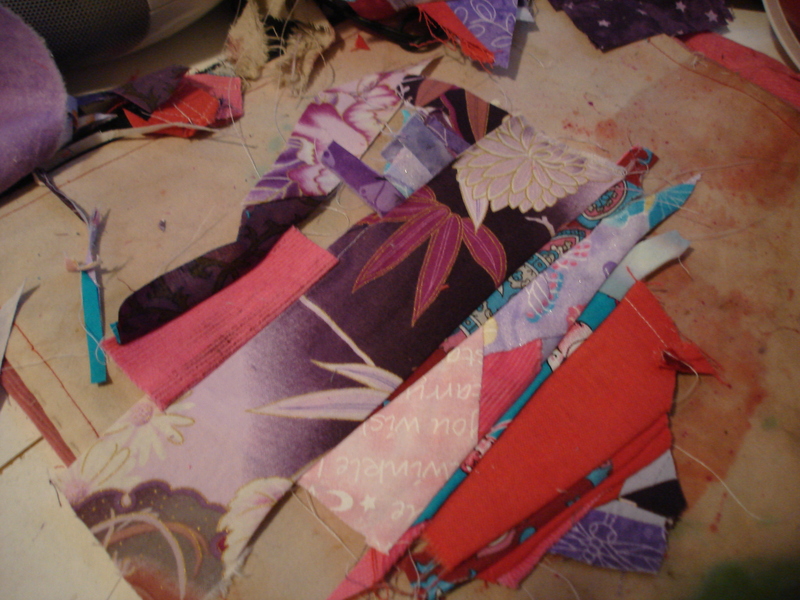 Then I trimmed the fabric around the paper. 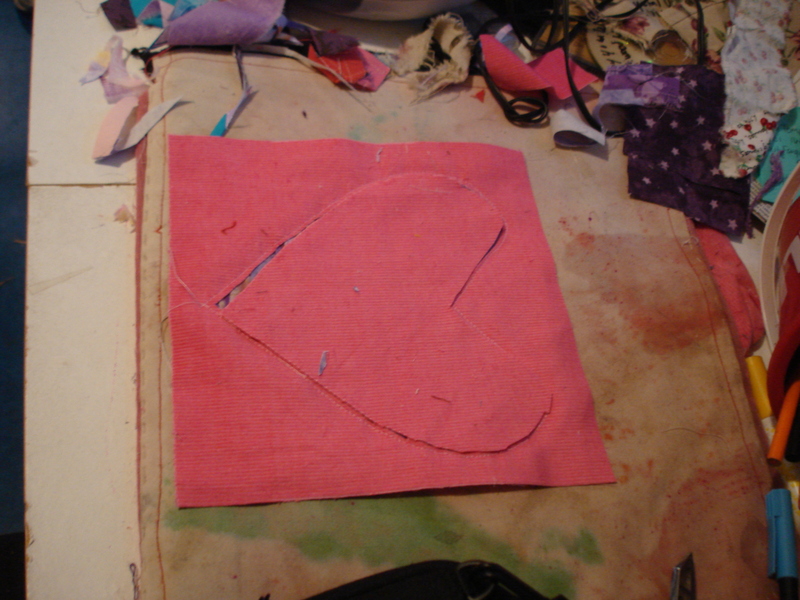 Then I laid the heart on a square the size of my finished block: right side of heart to wrong side of fabric. 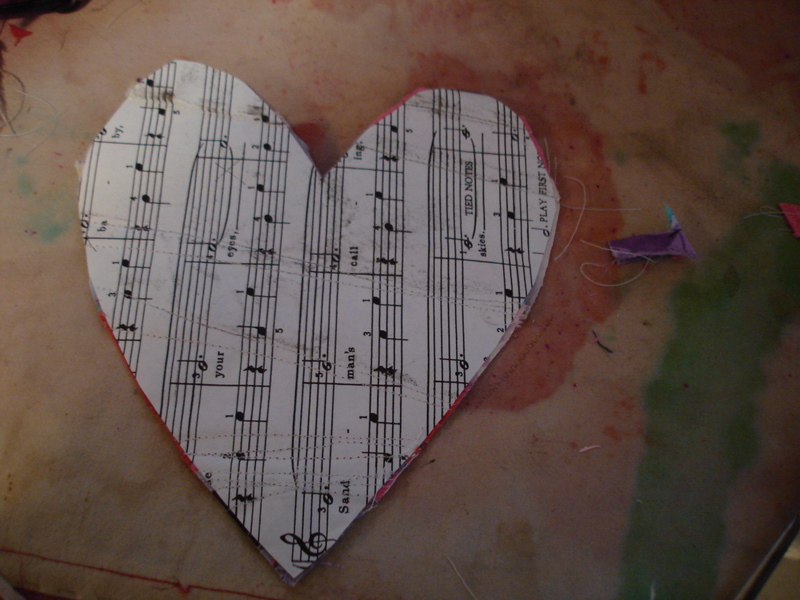 I straight stitched around the heart. 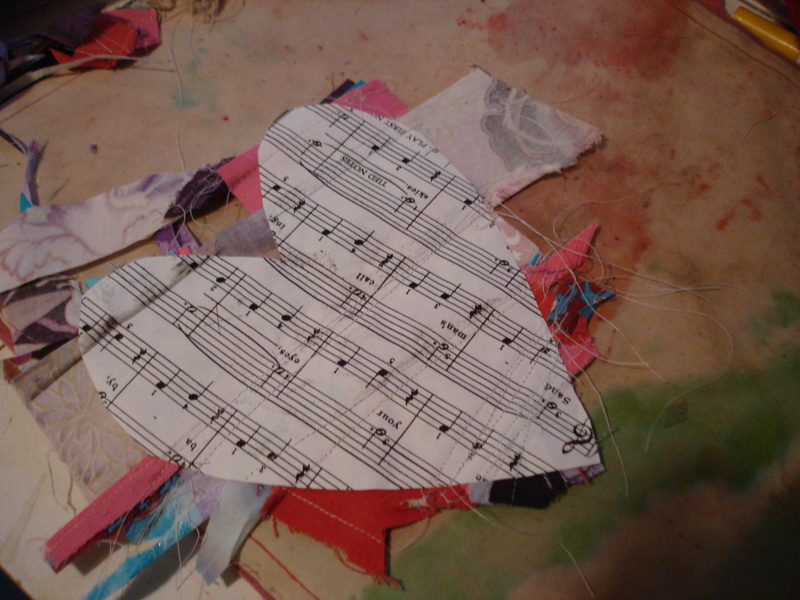 I stitched on the paper a quarter inch from the edge. 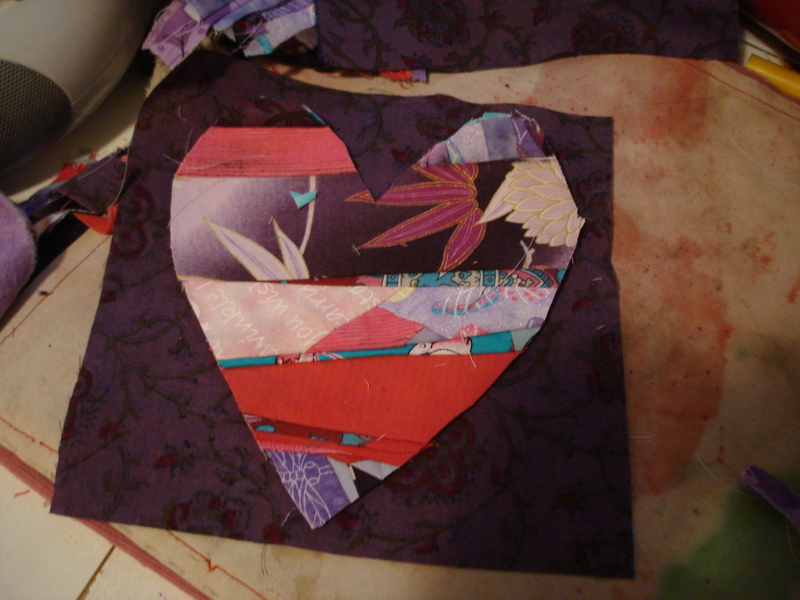 Then I flipped it over and cut away the fabric inside the stitching, being very careful not to catch my pieced heart underneath. 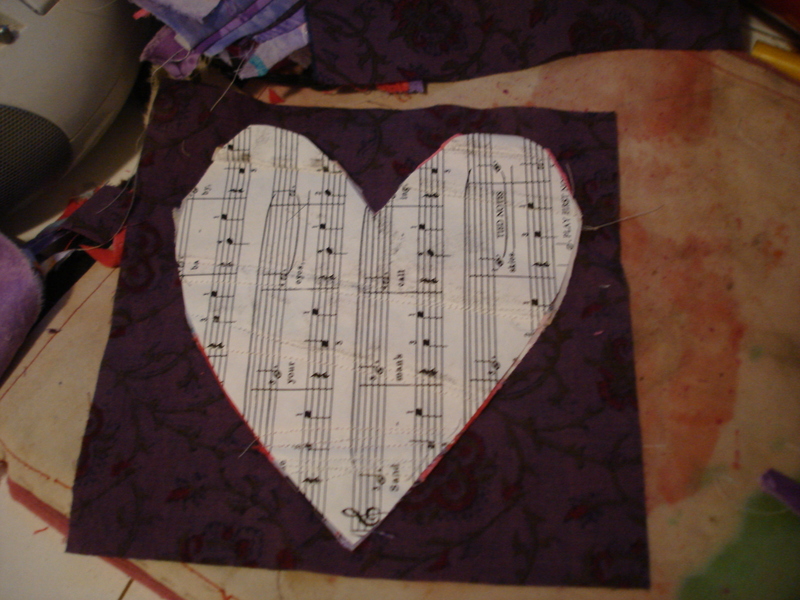 The last step is to satin stitch over the raw edges. I am planning on getting some varigated thread for this step. Finally, I remove the paper. If you wanted to have easier paper removal, you could use a water soluble paper.